Simon Davis has a background in graphic design. His studies of women''s faces are more contemplative but never flat, they always look fresh and real and full of life. 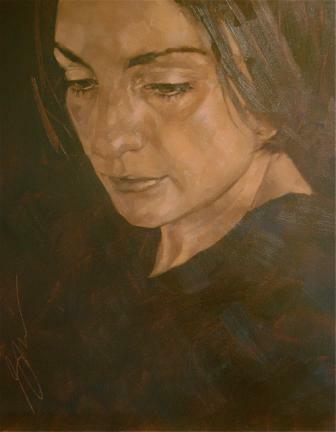 In ''Phanton'' the colours used create a softness and warmth in this contemporary portrait. Simon Davis paints thoughtful contemporary oil paintings. His work often shows carefully observed faces or figures. ''Phanton'' is an example of his individual style. Concentrating only on his subject''s face and not giving us any clue to the context or background of the woman, he draws our attention, close-up, to her features and her expression. Simon Davis uses light and shade with skill to create texture and depth to the study.